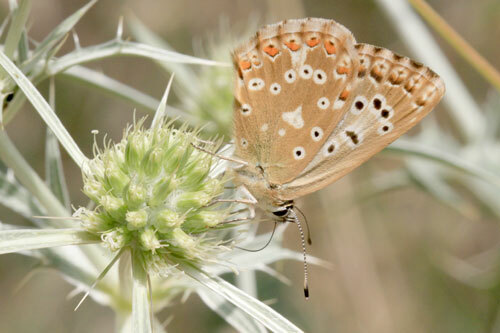 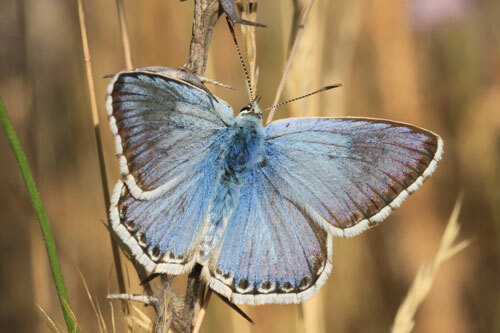 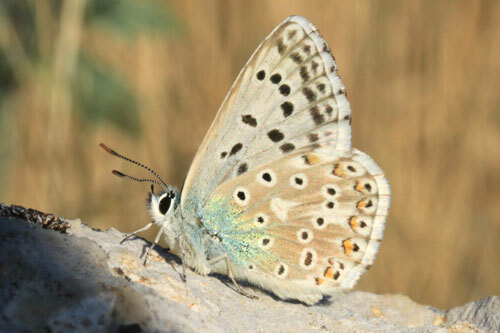 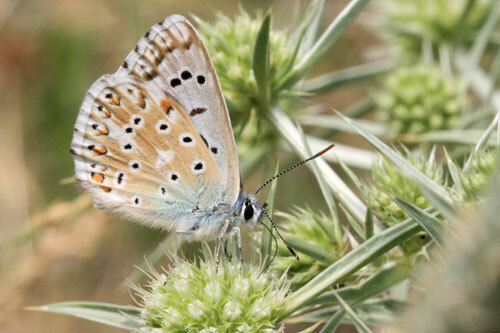 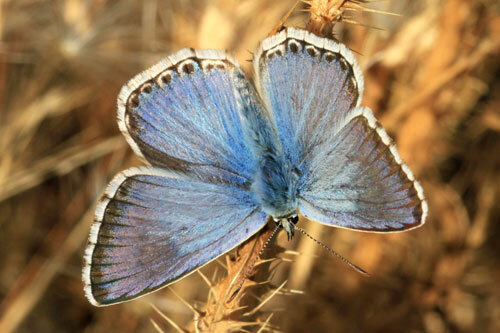 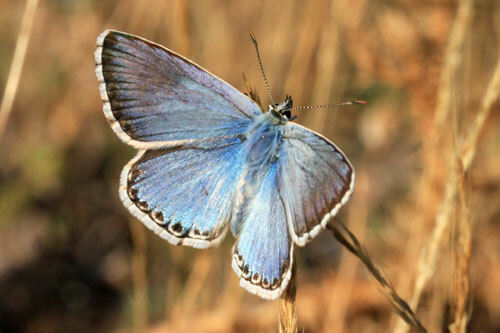 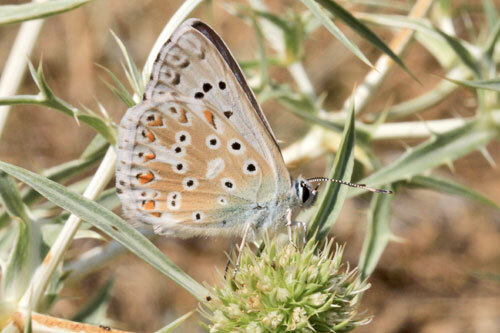 This is the gorgeous subspecies (or species) of the chalk hill blue L. coridon that only flies in the Montes Universales in Spain. 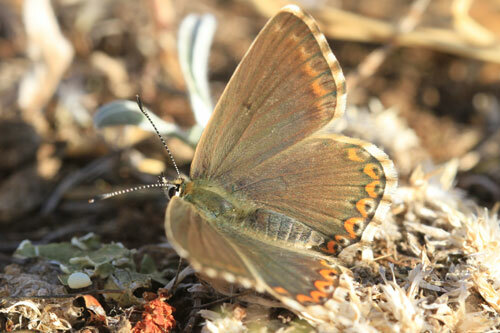 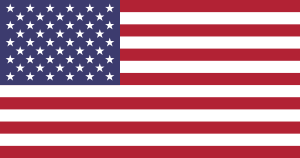 It is often very common where found. 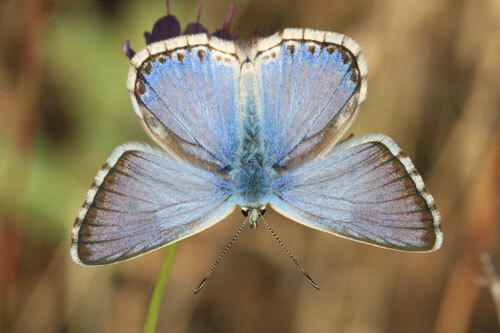 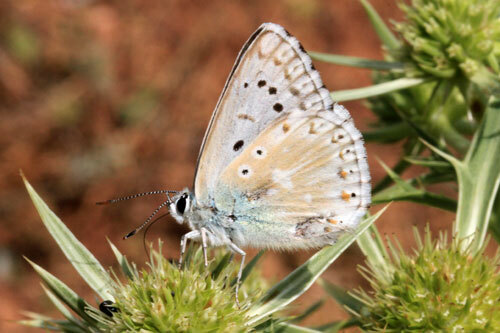 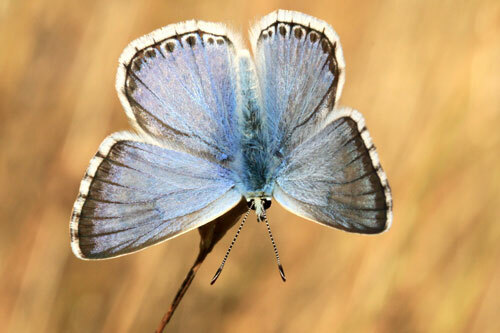 Identification & Similar species: Males are a very bright sky blue, quite unlike typicalL. 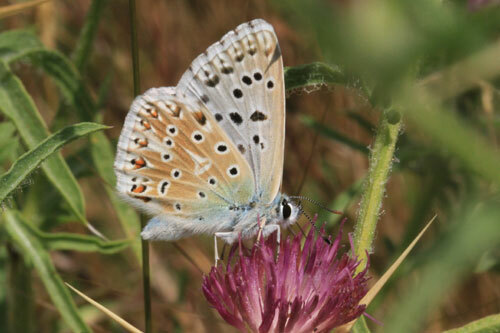 coridon. 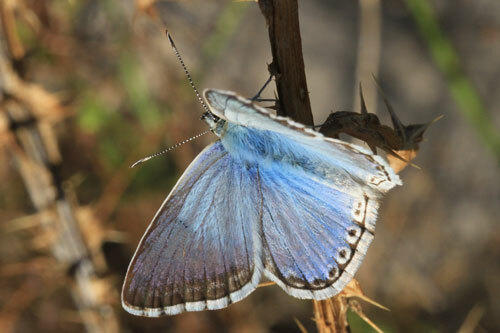 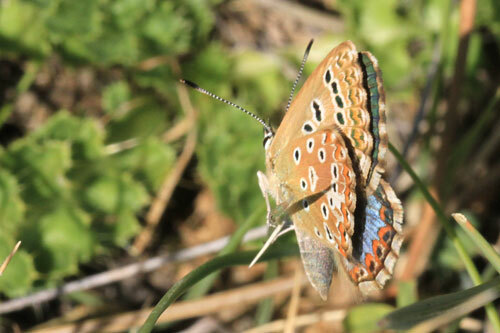 Variation: Some females are of a stunning blue and orange form. 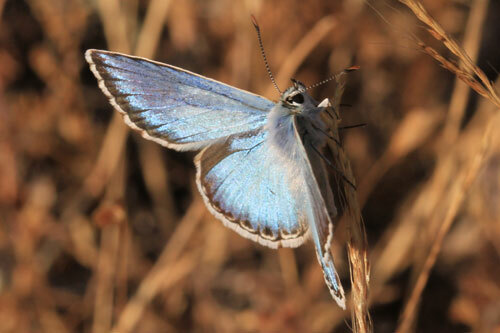 The gorgeous blue female form.